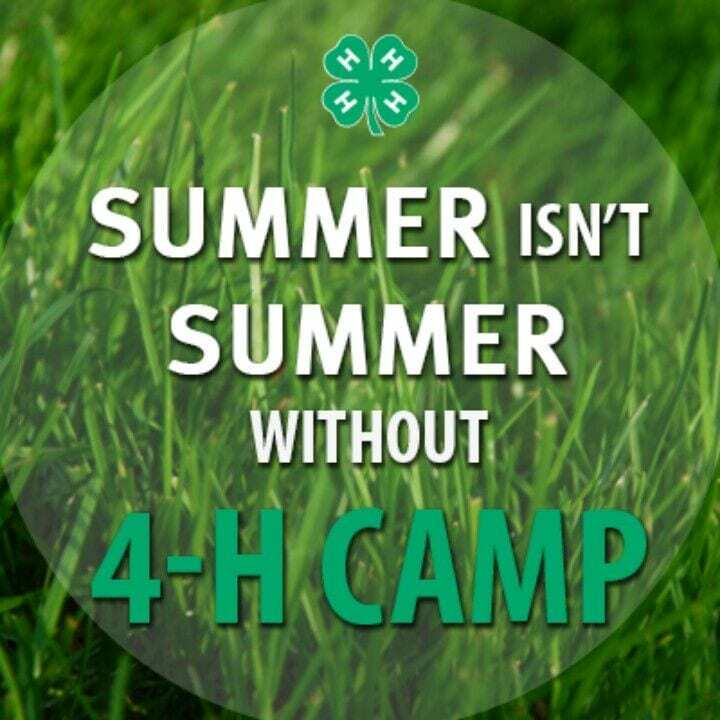 And you can learn about life in another culture and learn about making a difference at 4-H Global AgriCULTURE Camp, from June 10-14. 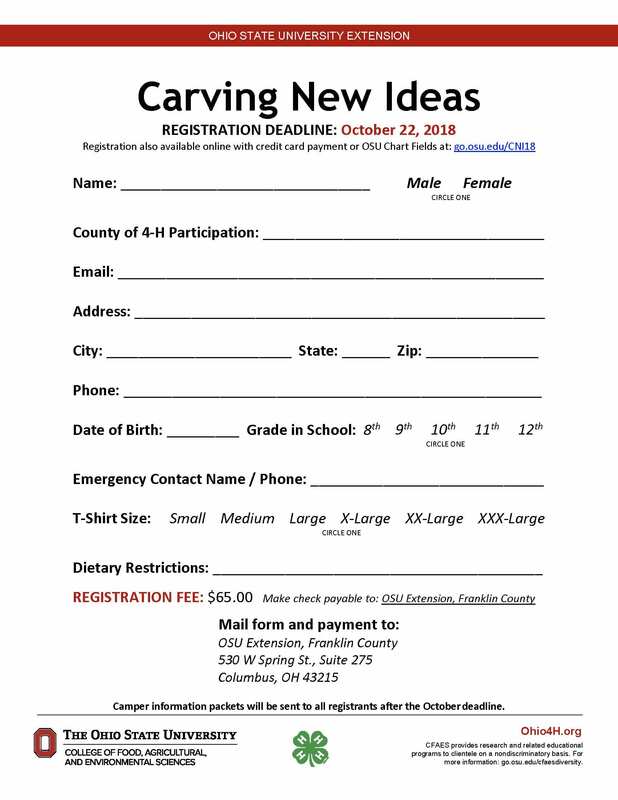 Youth entering grades 8, 9 and 10 will spend three days at OSU discovering how agriculture can impact global food issues, then travel to Howell, Michigan for an over experience at the Heifer Global Village. Find out more at http://go.osu.edu/GACamp. 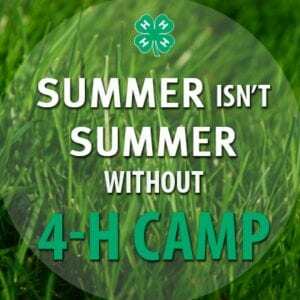 The 4-H program, through some designated funds from the Robert and Helen Harmony Fund for Needy Children of The Dayton Foundation, is able to offer a few one-time partial camperships for youth to attend Greene County 4-H Camp. 1. ALL INFORMATION NEEDS TO BE COMPLETED TO BE CONSIDERED FOR A SCHOLARSHIP. An incomplete form will not be accepted. 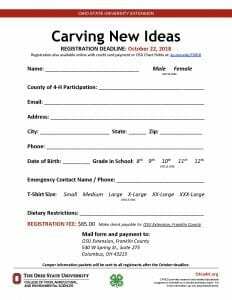 Fill out one form per youth. 2. The parent fills out the application on behalf of the youth, using the form attached. Applications are due to the Greene County Extension Office by 4:00 p.m. April 5, 2019. 3. Late applications will not be considered. 4. Campership funds will only be awarded for the individual named on the application. 5. Priority will be given to youth from low socio-economic homes and first time-campers wishing to attend camp will be given priority consideration in the selection process. campership remains in place only for those with registrations turned into the Extension Office on or before the May 10, 2019 deadline. If registration is not received you will forfeit your campership. 7. Once the application has been received, the county 4-H Staff will meet and review applications. You will receive notice if you receive a campership by April 12 by email. 8. Thank you notes for the Robert and Helen Harmony Fund for Needy Children of The Dayton Foundation would be greatly appreciated. Cloverbud Camp will be on Friday, June 14, 2019. Applications are available on our web site at https://greene.osu.edu/program-areas/4-h-youth-development/camp. Applications are due into the office by Friday, October 26. Open to 8th-12th grade 4-H members, Carving New Ideas is a camping opportunity for older youth, concentrating on the principles of critical thinking and program facilitation. 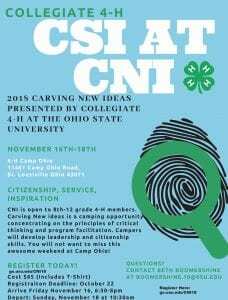 This year’s theme is CSI at CNI. All the fun will center around mystery and investigation while enhancing leadership skills. See the poster on how to register!